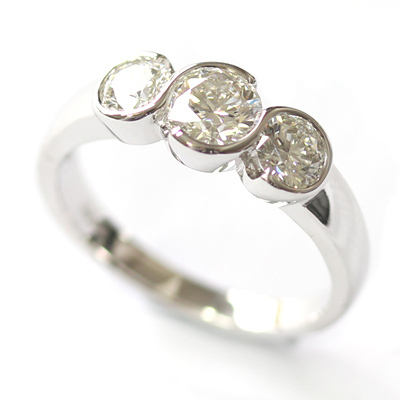 White Gold Part Rub Set Round Brilliant Cut Diamond Trilogy Engagement Ring — Form Bespoke Jewellers Ltd.
A platinum cluster engagement ring with round brilliant cut diamonds. 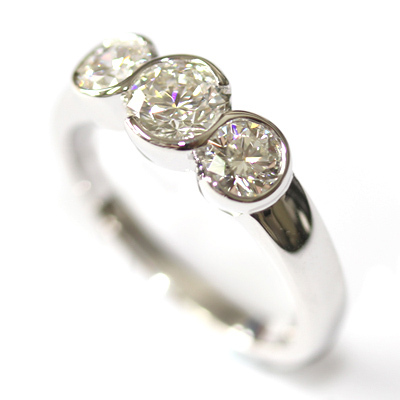 This engagement ring showcases three bold and beautiful round brilliant cut diamonds of matching colour and clarity. 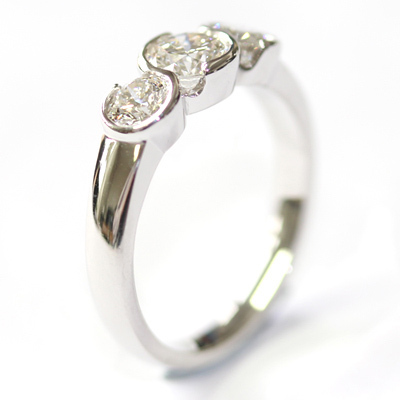 Rather than a classic claw setting, the customer chose a semi-rub setting. This setting is clean and contemporary with a tactile finish. The decision to go semi-rub set, instead of fully rub set, is not only a pretty design detail but it also allows extra light to enter the diamond = more sparkle! 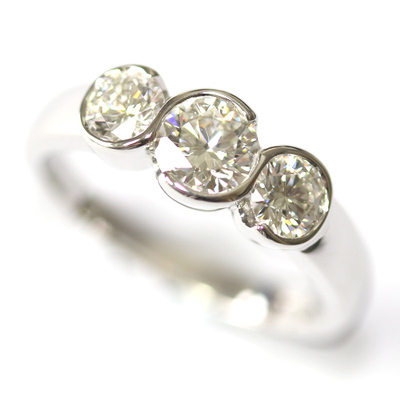 The ring is cast in white gold and the width of the band balances the trilogy of diamonds beautifully. 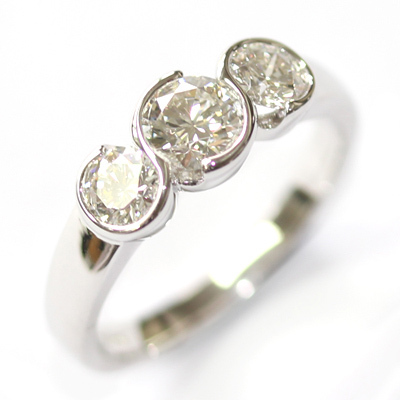 A stunning twist on a traditional trilogy design.